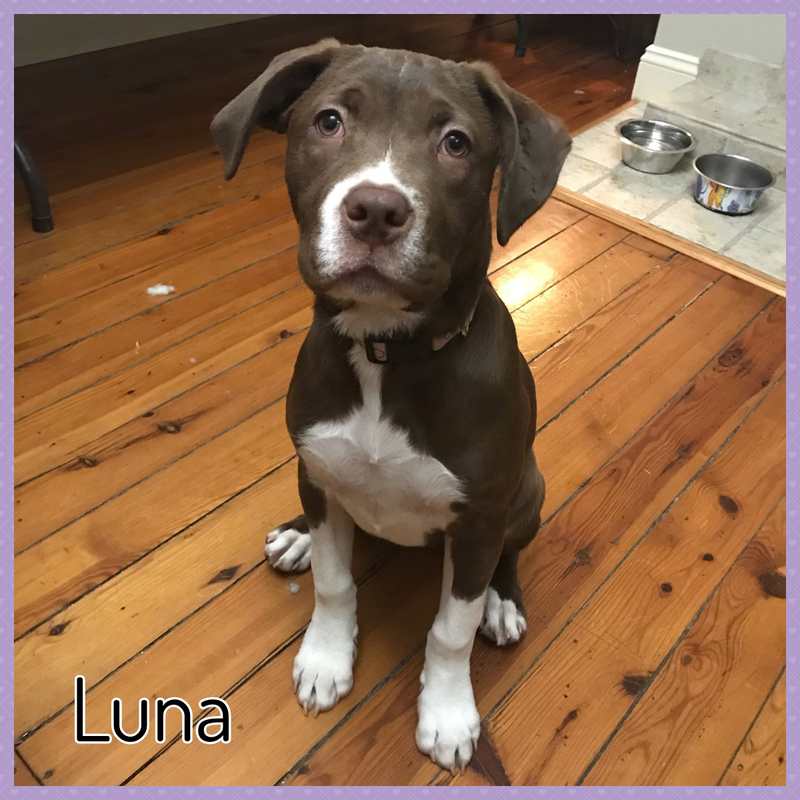 Luna is almost six months old, and came into AWFP with her three brothers who have all been adopted. 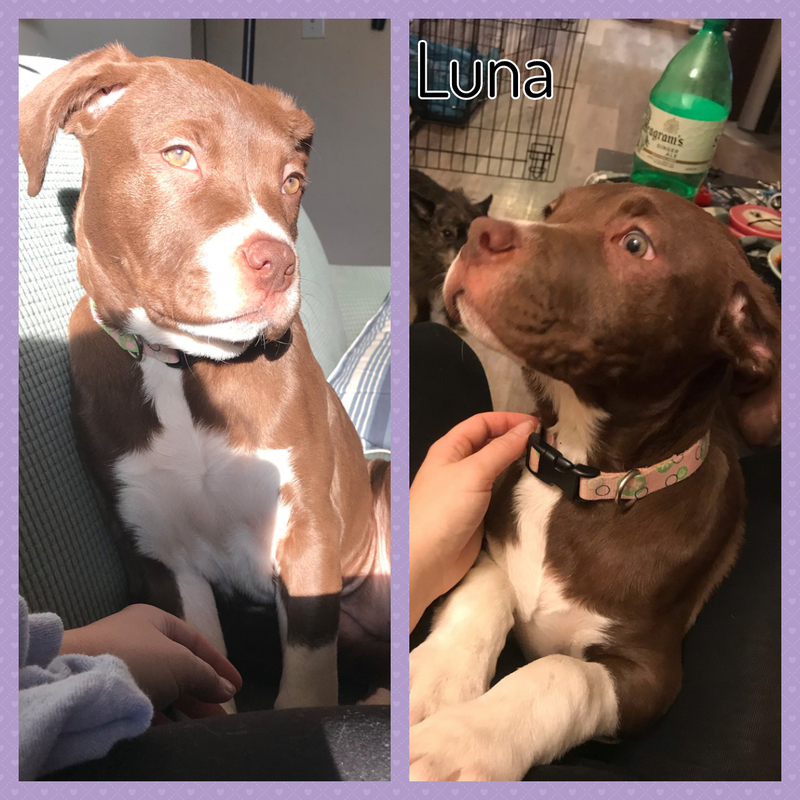 Luna is very energetic and playful. She is super tough and likes to play rough. She will pee outside, but hasn't mastered house-training yet. She is very good with obedience training, but still needs work on her manners. She is nervous around strangers (adults and children alike), and is slow to warm up. Once she warms up, though, she just wants to be near you all the time! She enjoys car rides, swimming, baths, nail trims, and getting her teeth brushed. She doesn’t mind being crated for short periods of time, but may have an accident if she’s crated for longer than a few hours. 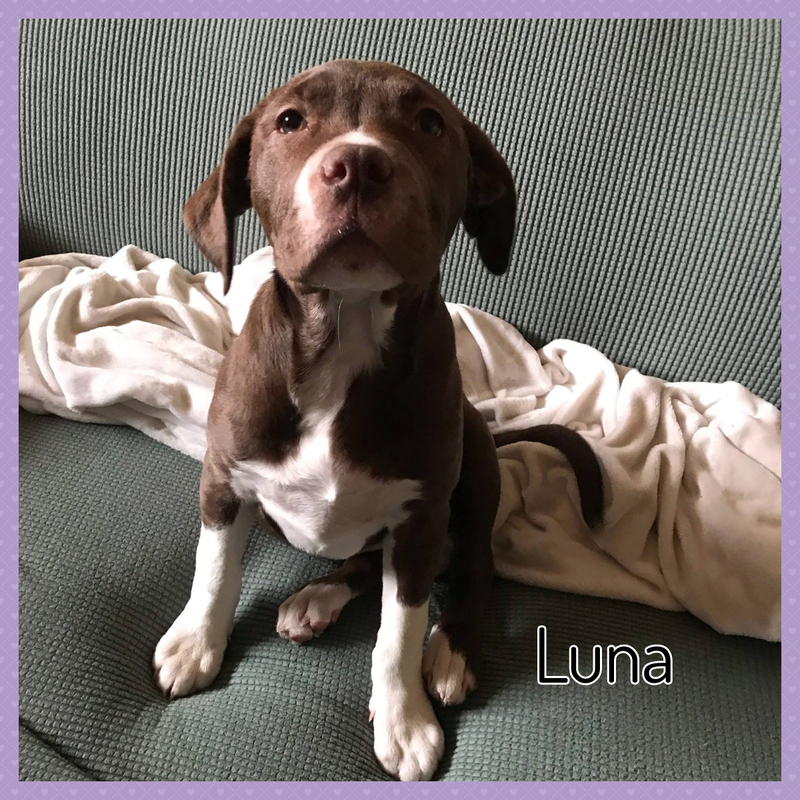 She is looking for a family who will be patient with her while she opens up and will continue to work on her puppy training. 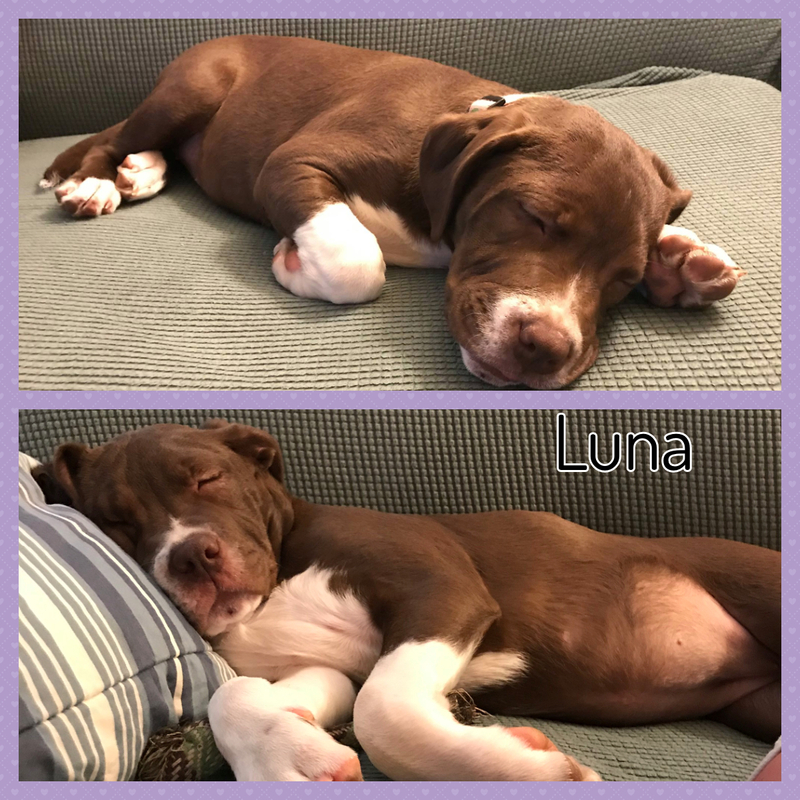 She is happy in a home with other dogs who are comfortable rough-housing.